The Smile (a poem by Lauren Curr) – History's a burden.. Stories can make us fly! She smiled the night away. It’s her radiant beaming smile. (Her blue-green eyes are fully made). But it’s her radiant beaming smile. When she has a smile ear-to-ear wide. Just to see her smile. 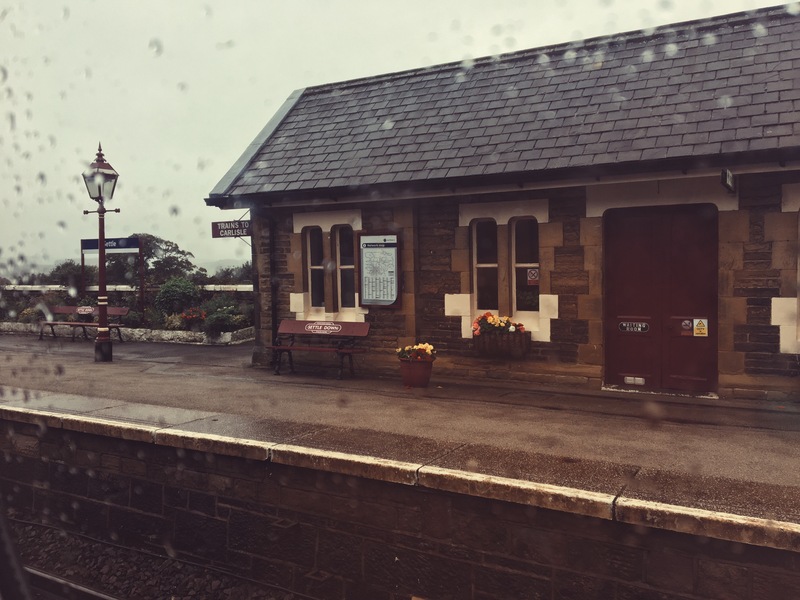 I was on the Carlisle-Settle train to Leeds and a particularly lovely lady sat next to me. She had her dog with her, and the three hours we had a lovely chat. It was a busy service, though, and when she got off at Shipton, I was left on a four-seater alone. It was then a particularly rude lady (who had already been rude to me when I tried to move to go to the bathroom) sat next to me, and the rest of the journey felt miserable. I feared to breathe. However, around Kieghley, a girl came and joined the four seater and asked the man opposite if she could sit in the spare seat. Normal, of course, but when I looked up she was beaming. She was beaming larger than I’d ever seen anyone beam, and for no particular reason. After sitting beside this miserable human, just seeing a smile brought me some joy. It was beautiful, and it charged my outlook. I was going to hold onto the memories of the lovely lady and her dog, the positives of my week in Scotland and focus on seeing my friend Polly, rather than let the grumpy lady impact my day. So, I was inspired, and I wrote this purely platonic poem about it. Turns out, I liked it a little, so I’ve decided to share it. A lovely melodic and lyrical poem that is very musical. The strong sense of observation shines through but the writing works on the level of sonics too. I like it’s rhythms and image-echoes.